The Toyota Sienna is a minivan like any other: three rows of seats, two sliding doors, cupholders galore, and hidden Cheerios everywhere. What makes it unique? 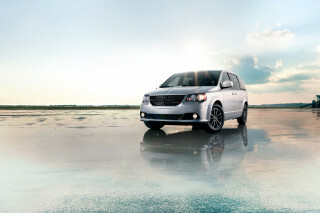 It's the only minivan to offer all-wheel drive. In 2017, Toyota added a new 8-speed automatic and a more powerful V-6 to the Sienna. 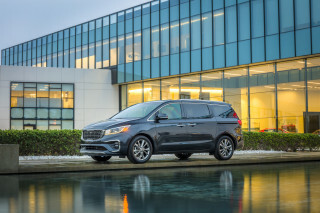 For 2018, the company's van gained a new look to match its improved performance. Apple CarPlay was added to the lineup for 2019. The Sienna offered today first went on sale in the spring of 2010 for the 2011 model year. About the same size (and a little heavier) than the version that preceded it, the new Sienna has a more premium look and feel. The powertrains that year included a 266-horsepower, 3.5-liter V-6, with a 6-speed automatic transmission and either front- or all-wheel drive; Toyota also offered a 187-hp, 2.7-liter 4-cylinder engine in 2011 and 2012, but discontinued it in 2013. 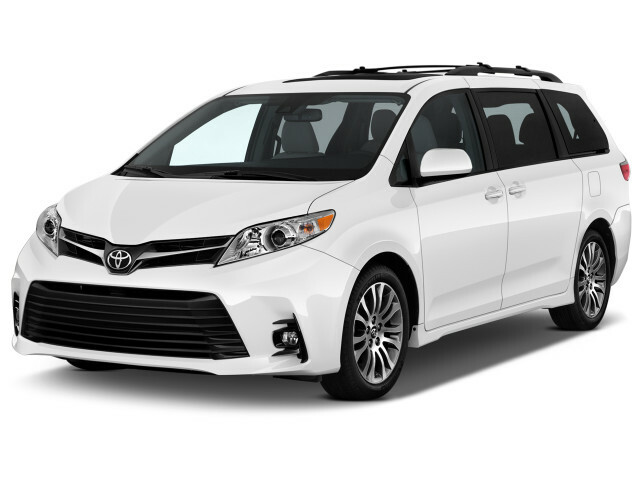 Like most of its rivals, the current Sienna can carry up to eight passengers with the right seating combination, and it offers a pair of sliding doors, with power doors as an option. 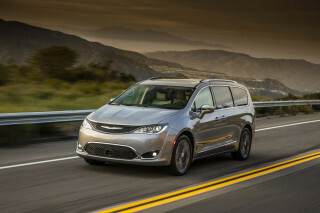 It also has a third-row seat that can stow under the floor when not needed, although it doesn't offer a similar feature for the second row like the Chrysler van does. 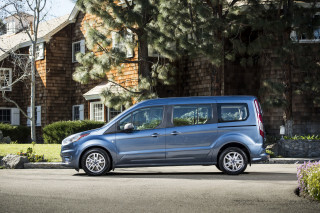 It offers special reclining airplane-style seats for the second row, which have since been copied in the Kia Sedona. The Sienna remains unique among minivans as the only one that still offers optional all-wheel drive. All versions of the Sienna now sport a USB port; Bluetooth with audio streaming; automatic climate control; power front seats; a power tailgate; and power sliding side doors. Seating includes those available plush second-row captain's chairs with footrests, and the infotainment offerings have been spiced up with a new split-screen setup that's perfect for gaming. Toyota gave the Sienna a mild update for 2015. Changes include reworked grilles and lighting elements on some models, as well as tweaks for the interior. The powertrain menu remains the same, with a standard V-6 and a choice of front- or all-wheel drive. Toyota has made some chassis improvements, including stiffening the structure, and massaged the body to improve aerodynamics slightly but the changes didn't affect the EPA ratings of 18 mpg city, 25 highway for front-wheel-drive models. The 2015 model also earned the IIHS' "Good" scores in all but the new small front offset test, where it scored an "Acceptable" rating. Its five-star overall rating from the NHTSA carries over. For 2017, Toyota improved the Sienna's powertrain and efficiency with an uprated direct-injection version of its 3.5-liter V-6 (that now makes 296 hp) and an 8-speed automatic. Toyota introduced the Sienna as a more conventional minivan offering in the late '90s. It replaced the egg-shaped Previa, which had a mid-engine, rear-drive design that resulted in strange packaging. The Sienna came on the scene in 1998 with front-wheel drive and an interior layout that more closely aped that of the segment's leaders. That model shared underpinnings with the Camry sedan, as does the model to this day that in combination with production located in the U.S., brought costs down. Initially, the Sienna used the same powertrain as the Camry V-6—a 194-hp 3.0-liter, replaced after several years by an even smoother, more flexible 210-hp version. These first-generation Siennas have proven reliable, but Toyota hadn't yet found its way to the front of the pack; seating was definitely a step behind the Chrysler minivans of the time, and the third row had to be lifted away rather than folding flat, and the interiors were quite drab. 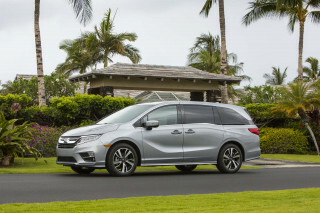 A lot of shoppers who are intimidated with the immense size and weight of newer minivans might find these Siennas just right. Side airbags and stability control became available in 2001, so with the stronger engine, too, the 2001-2003 models are the pick of this bunch. 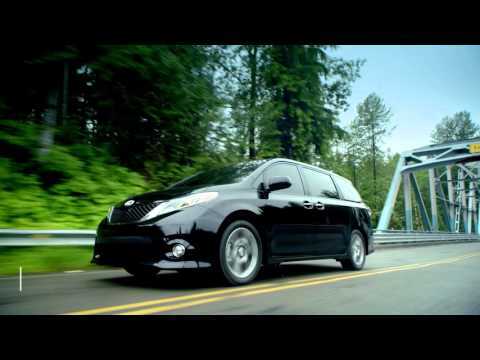 For 2004, Toyota introduced a redesigned and considerably larger Sienna. With a 230-hp (or 215-hp), 3.3-liter V-6 and 5-speed automatic transmission, this Sienna delivered performance that was about the same as the model before it, though the 266-hp, 3.5-liter engine introduced for 2007 gave the van more confidence for passing and highway hauling. But this Sienna didn't have a lot of charisma or style, and near the end of its life it was looking quite outdated next to some rival models. Interior materials were also panned for being a bit drab and plasticky, once again, on all but the top XLE and Limited models. These vans came well-equipped, though buyers had to move up to the higher trims to get items like power sliding doors, the power-folding third-row seat, and the power tailgate. While LE models came with a bench in the second row, XLE and XLE Limited models came with twin captain's chairs. Options included front and rear parking sensors, a JBL audio system, and laser-guided cruise control. Toyota made side airbags standard for 2006.
so far it has been ok. The interior layout is good. The ride is 'stiff'. Has to take back to dealer to find out noise inside the Sienna soon. Has good power for both city and highway. Average about 18.5 mpg city. Wish it has front... The interior layout is good. The ride is 'stiff'. Has to take back to dealer to find out noise inside the Sienna soon. Has good power for both city and highway. Average about 18.5 mpg city. I gave a low rating for fuel economy because our other car is a Prius C. The Sienna is new, but seems pretty awesome so far. I love the features such as blind spot monitor, voice activation, and the fold and... I gave a low rating for fuel economy because our other car is a Prius C. The Sienna is new, but seems pretty awesome so far. I love the features such as blind spot monitor, voice activation, and the fold and stow rear seats.